When the days start getting warmer and you hear the buzz of the first hummingbirds of the season, you know that winter is finally over and that spring is in the air in New Mexico. And nothing says springtime quite like a good spring cleaning. Before you put away your winter clothes and break out the flip-flops, why not add your personal finances to your spring cleaning "to do" list? 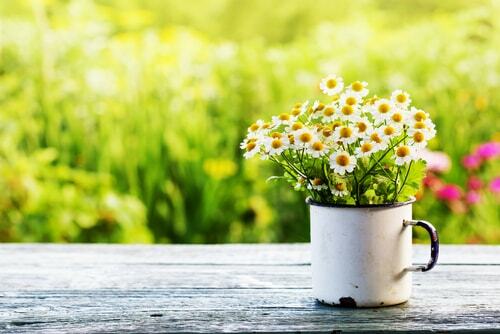 Get ready to tackle your financial clutter, build a leaner budget, and even give your credit score some TLC this year with these 5 easy tips to "spring" into some extra green this year. If the Christmas lights have long since come down but your card balances haven't, it might be time to review your finances. Free up your available credit by paying off your debt from the holiday season before moving on with your year. Creating a game plan for paying off your cards gives you a solid path to being debt-free, even if it means putting yourself on a leaner budget or relying on a title loan to consolidate your debts. If you have years of financial documents piling up and collecting dust, cut out the clutter and work toward going paperless this spring. Going digital is a great way to clear up the mess of paperwork before it becomes unmanageable. Take some time to go through your financial documents while you're doing your spring cleaning and see how much space you can free up by scanning documents or discarding them completely. Some documents you store for life - payments you make to the government, tax returns, major financial records like legal filings and inheritances, for example. Hold onto supporting tax documents like bank and brokerage statements and tuition payments, as well as W-2s and 1099s for 3-7 years, depending on your economic situation. Hold onto regular statements, such as pay stubs and bank records, for one year, and dispose of them once your taxes have been filed for the year. Start scanning your financial documents and make backing up your files and shredding your old physical documents part of your new spring cleaning routine. Springtime is a perfect opportunity to update your budget and revisit your New Year's Resolutions. If you find that you're still going over budget and not meeting your financial goals, it's time to take a step back and look at the areas where you are coming up short. Are you meeting your financial goals? If not, where can you make changes to cut back on spending to get back on track? Don't forget to make adjustments to your budget to meet your current needs and long-term saving goals as necessary. When was the last time you took a peek at your credit score? Your credit score doesn't have to define you and your relationship with your money, but not knowing what your score is and what's dragging you down could hurt more than you think, especially if you anticipate buying a new car or home in the near future. Does your score keep dropping due to late or missed payments? If you need cash fast to make your scheduled payments, a payday or title loan in Los Lunas or Bernalillo could help you preserve your credit score. Take some time and do your homework when it comes to managing your credit this spring. Knowing what your score is and what factors are affecting it can help you make strides towards improving it and better managing your debt. Out with the old and in with the new - getting rid of clutter is at the heart of what spring cleaning is really about, so why not make some money while you're at it? 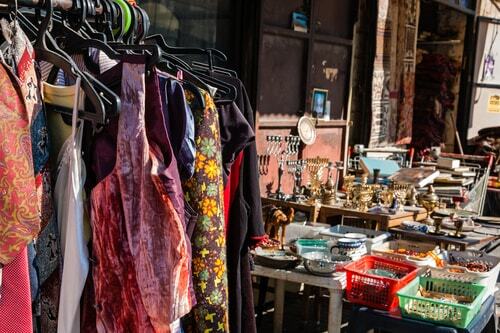 National Old Stuff Day is March 2nd, and it's a great excuse to have a yard sale. But it's not just a matter of puling your stuff out to the curb and posting some signs around the neighborhood. Use technology to promote your sale on Facebook, Twitter and Craigslist, too. Find out what items sell the best and clean house while you clean house this spring.